Australian screenwriter Pete McTighe (Wentworth) has been announced as one of the upcoming writers for Doctor Who under new showrunner Chris Chibnall. McTighe has written on a string of Australia dramas including The Doctor Blake Mysteries, Glitch, Nowhere Boys, Neighbours, Winners & Losers plus UK soap EastEnders. 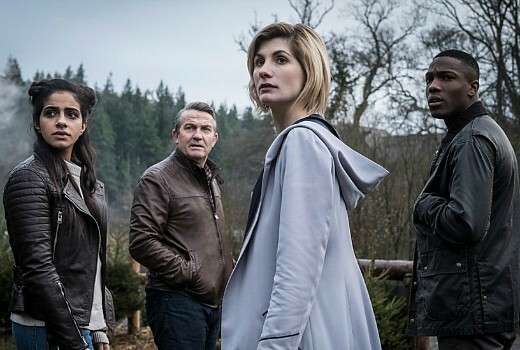 Showrunner Chris Chibnall, says: “We have a team of writers who’ve been working quietly and secretly for a long time now, crafting characters, worlds and stories to excite and move you. A set of directors who stood those scripts up on their feet, bringing those ideas, visuals and emotions into existence with bravura and fun. Previous Aussies who have written for Doctor Who include Anthony Coburn (1963), Bill Strutton (1965) and Sarah Dollard (2015) with Mat King (2013) and Daniel Nettheim directing (2015) . The show is tipped for late September, but yet to be confirmed. The full list of writers and directors is here. Good on him. But isn’t he English?? Jennifer Perrott – who’s directing this season – is an Aussie too!! Congratulations to him! I first noticed Pete when he presented introductions to episodes of Prisoner on DVD boxsets released in the ’90s (dressed as a ‘screw’). He seemed like a megafan so I dug him and was delighted when he got on board Wentworth.